The Brookings History and Garden Festival has been an annual tradition in Brookings for over a decade. It attracts a wide variety of attendees and features an eclectic flea market filled with antiques and local artisanal goods. 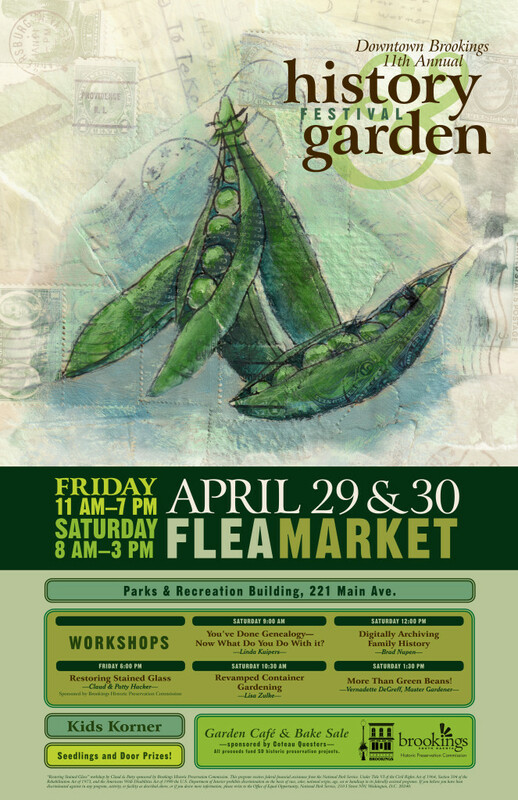 The other component of the festival celebrates the return of spring with gardening classes and plant displays from the area greenhouses and nurseries. 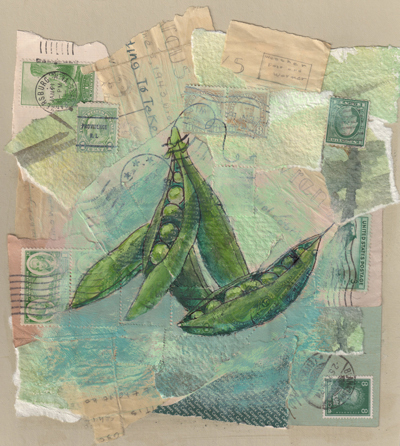 Peas Final illustration made from antique letters, stamps, and fabric. For the 2011 festival, I was asked to create promotional materials that captured the essence of the festival and also reflected the year’s theme of reusing, revamping, and recycling. The final poster for the festival was the main component of the festival’s advertising strategy. Because the festival didn’t have a web presence at the time, the poster had to convey a lot of information including a workshop schedule. Overall, I think we struck a nice balance of imagery and dense content. Final Poster for the Downtown Brookings History and Garden Festival.